Today is a very special day (not as special as Christmas Day, of course! ), but do you know why? Well, today is what’s called the summer solstice or Midsummer’s day. This means that everywhere in the northern hemisphere of the Earth (the top half) will experience more hours of daylight today than any other day of the year. Up here in the Arctic Circle, we always plan big celebrations, but why does this happen and why is it so important? Have you ever noticed that the days during the summer holidays sometimes seem to last forever – you can be out playing from breakfast time till after teatime and it’s still light? Well, that’s because planet Earth is tilted towards the sun at this time of year so the sun is shining on us for longer than it does during winter. To give you some idea, in Scotland for example, today the sun will rise at 4.26am and not set until 10.03pm. That’s more than 17.5 hours of daylight, meaning that it’s light by the time you wake up and still light by the time you go to bed! What a real difference this is compared to nearer Christmas. On December 21st this year, a chillier, darker Scotland will see less than seven hours of daylight, with the sun not poking his head above the horizon until 8.42am before heading to bed early at 3.40pm. That gives me all the extra night time cover I need to deliver all those presents on the 24th December! – Imagine trying to do my job in the summer!!! 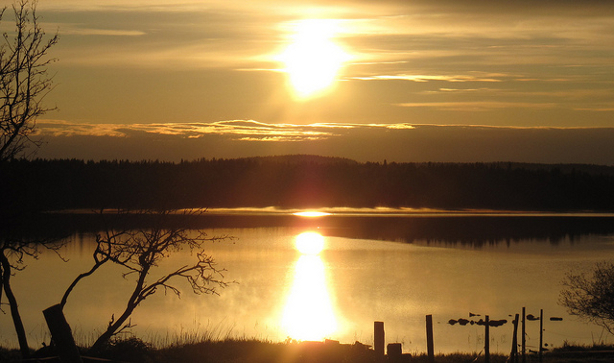 And if 17.5 hours of sunlight seems like a lot, imagine living up here in Lapland. Because we are so far north, during the summer we have days when the sun doesn’t set at all! It’s very strange when it’s still completely light at midnight! It does also mean that it’s dark for most of the day during December so if you’re coming to see me in Lapland this Christmas, you will only get three or four hours of daylight each day – still plenty of time to take a husky or reindeer sleigh though. It also means my log-cabin in the woods looks very magical when it’s all lit up with twinkling lights. Here in Lapland, we love to celebrate Midsummer and many people will head to a cabin in the woods, or build a big fire to mark the event with friends and family. It’s also a holiday here, the most important after Christmas (of course!) and New Year. 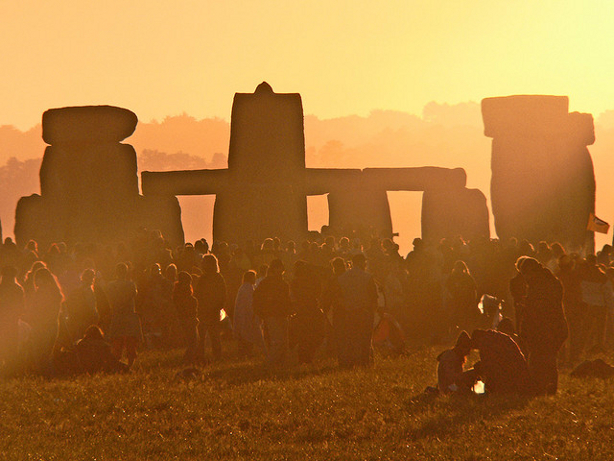 Some people like to celebrate Midsummer in the UK as well, particularly at Stonehenge in Wiltshire where they will head out to the ancient stone monument in the dark so that they can watch the sun rise through the stones. It really is a magical time of year. Of course, all this sunlight does have a downside – the reindeer get a bit confused about when it’s time to go to bed and some of the elves need to wear blindfolds to get to sleep because it’s too light for them. I never have any trouble getting to sleep though, as Mrs Claus will tell you!